Bharathanatyam is one of the classical dance forms of India. It originated in Tamil Nadu and was nurtured in temples across South India. As you all know, it has many benefits like burning calories, increasing strength and flexibility, creativity etc. Let us look at other benefits this classical art form provides that other forms of exercises do not. Bharathanatyam has 28 asamyutha hastas or mudras (single hand gestures). These hasthas provide movement and exercise to the muscles in the palm, fingers, forearm and upper arm. It helps to develop fine motor skills especially in children. The eye movements help in hand-eye co ordination. This is not found in any other form of exercise. The facial expressions which forms an important part of this dance form, provides movement to the facial muscles and helps your skin stay young and wrinkle free. It gives a glow to your face that no cream can give! 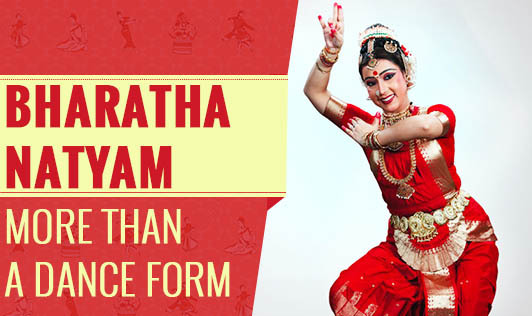 Bharatanatyam and other classical dance forms can become perfect exercise routines if followed properly as it utilizes every muscle in the body including the eyes, eye brows, jaws etc. Along with physical exercise, it increases concentration, co ordination and gives you an awareness of your own body. Join a dance class in your locality now and help yourself feel good!